« Thank You Very Mulch! I have three pairs of shoes that are in bad shape, but not in that band enough shape that they couldn’t be saved. Fortunately there’s a place in the neighborhood just a few blocks away that’s able to help. 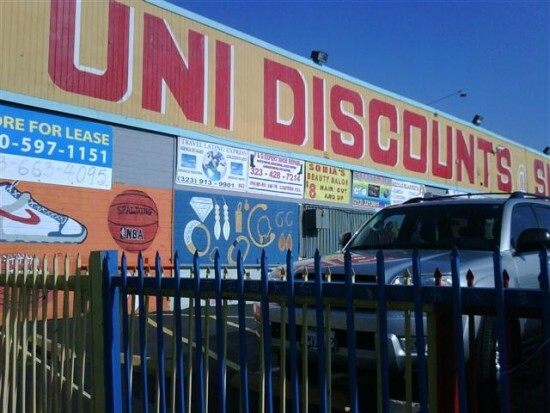 Inside the massive indoor bazaar known as “Uni Discounts” (4632 Santa Monica Blvd) carries a veritable hodgepodge of items: Everything from bicycle parts to athletic shoes to clothing to army surplus gear to sports jerseys to computer parts to massages, this place has it all. 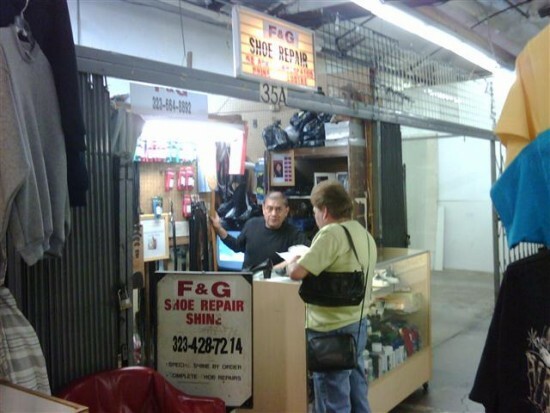 One of the many vendors inside is a shoe repair place (F&G Shoe Repair), where the proprietor, Francisco, was able to re-hab one of my shoes by replacing the heels, and give a shoe shine/polish on the other (just $5). There were also a pair of work boots with a busted vinyl shoe collar padding. That will take a couple more days to fix, but not a problem. But how awesome to have such a resource so conveniently close.